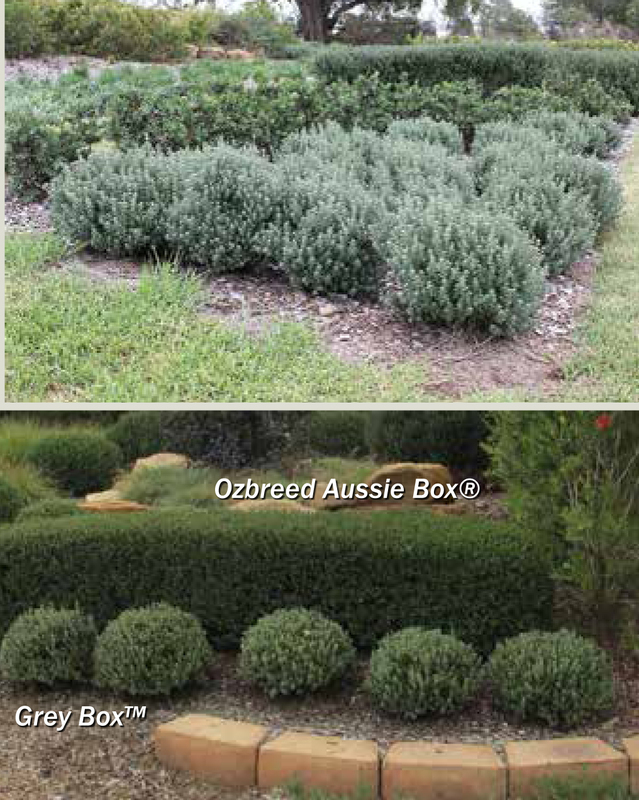 Grey Box™ Westringia is the perfect native compliment for Ozbreed Aussie Box®. • Grey foliage with white flowers—great for colour contrast against green plants. • An extremely compact form. Great for coastal or inland. 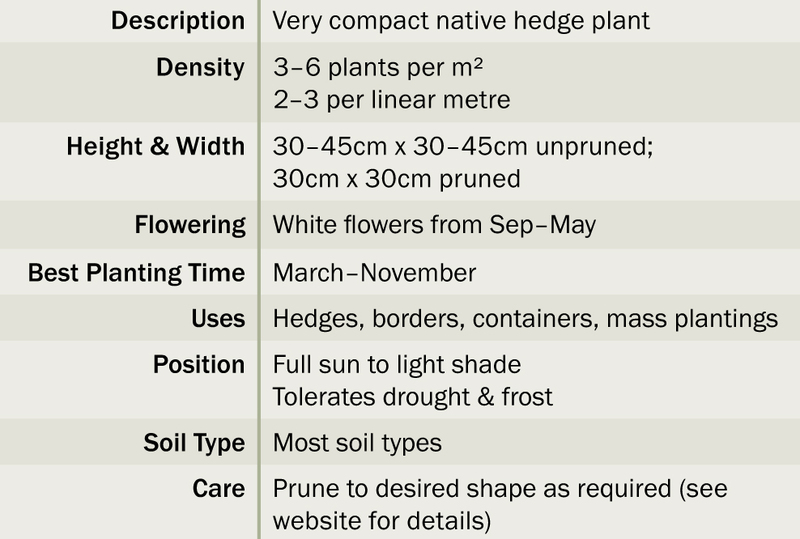 • Great as a hedge or left unpruned in its natural ball shape. It will stay compact in its natural shape. More regular pruning will result in a tidier, denser hedge. 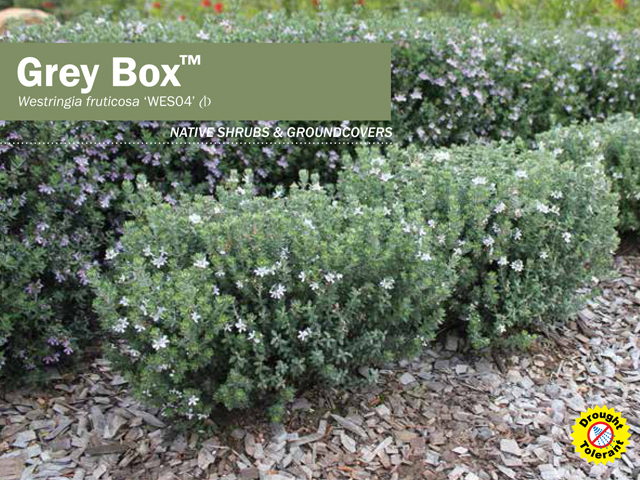 • Grey Box™ Westringia is a great drought tolerant replacement for English Box. • Proven to be very drought and frost tolerant, it is also found to work well in sandy and heavy clay soils.